Your wedding flowers are a vital part of the look and feel of the day, and will be with you forever in the photos, so we take extra care to ensure that they are perfect in every way. We use only the best blooms - a combination of our own, organically grown flowers, foliage and herbs, along with flowers sourced from the Dutch flower markets. We also have a large collection of props to help us style your wedding. We cover the whole of Munster, and would love to talk to you about what we can do to give your big day the floral wow factor. 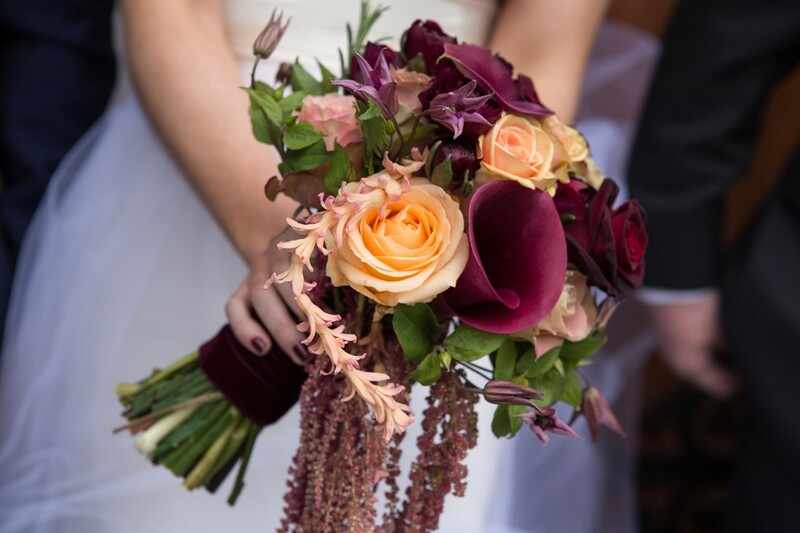 Flowers From The Secret Garden is an Florist and Grower specialising in wedding flowers in Cork servicing weddings throughout the local area including Munster. Flowers From The Secret Garden is an artisan, boutique florist who has been part of the Florist Wedding industry since 2009 specialising in natural, vintage, boho and unique style weddings..
Sarah, it was an absolute pleasure to work with you. From the first day we met you, you were so warm and knew exactly what vision we had for our wedding. You can tell immediately you have a passion for what you do. You gave me so many different options and ways I could achieve the look I was going for, which worked within my budget. I can honestly say you made it such a pleasurable experience choosing the flowers and guiding us through the design that we had envisioned. We cannot thank you enough. Sarah was very helpful to us in preparing for our wedding in which we were both based abroad during preparation stage, and had to do everything over email and phone call. Sarah was very responsive and provided great suggestions. Lastly, Sarah provided a lovely flower arrangement for the Cake, and liaised very effectively with our Cake provider to come up with the perfect flowers to match the cake theme. I’d definitely recommend Sarah again and will be in touch with her for our next big event in Ireland. Thank you both for your kind words, you were super easy to deal with, especially as you both had such a clear vision for your day. I loved creating that bouquet, pure glamour! Sarah created the most incredible floral arrangements for our big day. When I saw them the morning of the wedding, I was truly blown away. Everyone said they were the most beautiful flowers they had ever seen (and they smelled just as wonderful). 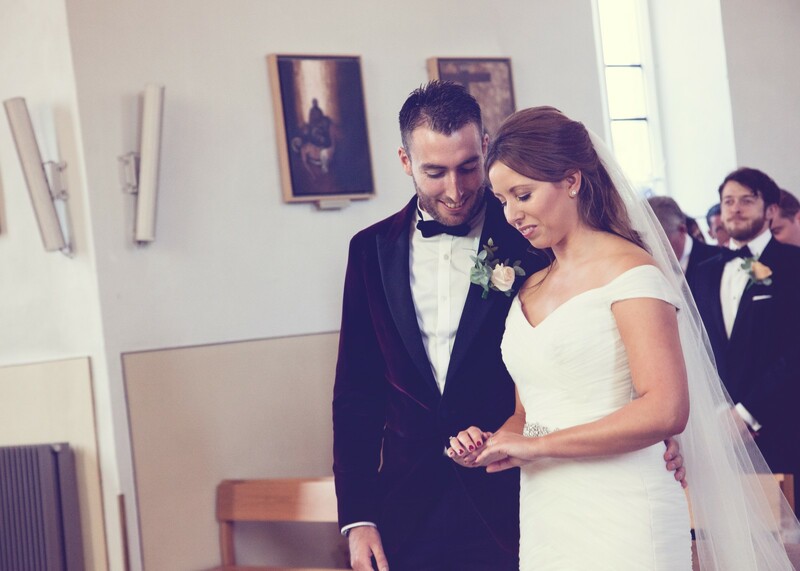 Sarah was a joy to deal with from the initial planning stages through to the big day itself. Having given her a rough idea of the style of our wedding, she worked her magic and created arrangements that perfectly suited our wedding. It is clear to see that Sarah loves what she does as it shines through in her work. I cannot recommend Sarah highly enough. Anne thank you so much, you're right, I do love what I do, especially when I get brides like you! Sarah was absolutely a joy to deal with. She understood everything we liked, even if we didn't quite know ourselves! We went in with ideas but didn't know how to put it together. I liked wild flowers, herbs, colourful and seasonal looking flowers including sunflowers - Sarah made it work beautifully. We asked for some personal touches in remembrance candles, buttonholes and bouquets that meant a lot to us. She made our first consultation so easy. Sarah paid huge attention to detail and the flowers lasted well considering the unnatural heat on the day. Who knew you could show a couple's personality through flowers. Guests still comment on how bright and colourful our day was, especially our flowers. We cannot recommend Flowers from the Secret Garden enough. Sarah is easy to get on with, passionate about her work and cares about the couple! It was one thing I did not worry about on the day. Cannot thank you enough!! Sarah is amazing,her attention to detail and eye for implementing a vision is superb. She is also realistic when it comes to your budget, which, when planning a wedding is so important as many suppliers often try to sell what you really don't need. You can be gaurteened Sarah does not do this. She is passionate about flowers and faboulous to deal with. It's a joy working on a wedding when both the bride and groom are passionate about flowers, and willing to work with your ideas and suggestions - I had a ball working with you both, and I'm so delighted for the both of you! We got married in a heatwave so obviously I was extremely worried about how the flowers were going to fair out on the day. I really can not thank Sarah enough, she put her heart and soul in to ensuring that our flowers survived the day, and they did! We got so many compliments. Sarah is more than a talented florist, to me she was everything on the day in relation to decorating the venue and adding her own touches. Nothing was ever any trouble and the venue was fabulous. I think Sarah understood my vision more than I did myself. I would highly recommend Sarah for your big day... she is amazing at what she does!!! I can't recommend Sarah and her flowers enough! I had the most amazing flowers and they were exactly what I wanted on the day. Sarah listened to me and gave me great advice and ideas regarding my flowers. She worked around my budget which was very important to me. Sarah was so easy to deal with. Looking back on my photos I still love my flowers and family and friends would comment on them also. ???????????????????? Sarah was the most obliging and helpful person who I clicked with immediately! She knew what I wanted before I knew myself! Her service was excellent in every way! I couldn't fault the flowers they were amazing.. Anyone considering booking Flowers from the Secret Garden won't be disappointed! Sarah was an excellent florist and decorator. We had a great brainstorming session earlier in the year and she took care of the rest. She gave us ideas of what she could do and we were able to veto what we didn't like. She also made it clear what she could do and what we should do also, she was very helpful. It was important to us that Sarah made a lot of the creative decisions as we wouldn't have much of an instinct for what would look good and she did just that. Not only were the flowers beautiful but Sarah also provided a beautifully decorated arch and decorated the dinner tables which we are indebted to her for. There was never an element of stress. Thank you Sarah for making our wedding beautiful! Lastly Sarah is by far the most reasonably priced florist along with growing many of her own flowers as opposed to importing flowers where possible, it's good to know the flowers didn't have to travel far and we were supporting local growers. Thank you so much for these words David, it truly was fun working with you, as I relish I chance to be creative and play with ideas, especially with the themed tables (any excuse to go shopping for the weird & the wonderful is fine by me!). Wishing you both all the happiness in the future. Sarah was fantastic to work with. She knew exactly what we were looking for. She kept in communication with me at all times. She even designed our dogs flowers as he was part of the whole day. Everyone complemented our floral arrangments especially Biscuits. She IS 5* in every way. I'm hoping I can put up pictures. Thanks so much for your lovely review - I had great fun doing the flowers, Biscuit looked so handsome in his flower collar!! From the moment I met Sarah i knew she was the florist for me . Instantly she understood the vision I had and helped me choose the flowers that would enhance my ideas. She is so professional and just all round lovely ???? never for one second did i worry about the flowers or the set up of our venue as I fully trusted she would not let us down and she definitely delivered what was promised and more . Beautiful unique experience. Sarah was a dream to have as a florist. I loved the fact that she grows her own flowers, as well as selecting from the flower markets, as being seasonal was an important element to me. She was very creative and very accommodating of all my changes!! She went out of her way to understand exactly what I was looking for and as such the results were perfect. I would very much recommend her for their wedding or any other celebration. I would highly recommend Flowers from Secret Garden, from the moment I met Sarah I knew she would be fantastic to work with! She has brilliant ideas & made my vision for the flowers come true! The bouquets, button holes, church decor & everything was stunning!! For anyone looking for a wedding florist you should consider Sarah & Flowers from Secret Garden as they were out of this world!! Thanks so much for your glowing review, really, really enjoyed creating your flowers for you!